One of the hallmarks of shaken baby syndrome are retinal hemorrhages — areas of bleeding in the back of the eye. These result from the same pressure changes during the shaking that induce bursting small blood vessels in and around the brain. So one of the key things we look for when we suspect this form of child abuse are the presence of such hemorrhages. The investigators asked a simple question: Can elevated pressure inside the skull (intracranial hyptension) cause retinal hemorrhages, or is that claim made by defenders of child abusers just nonsense? To answer the question they did detailed examinations of the retina, the back of the eye, in 56 children ranging in age from 1 to 46 months who had known, documented elevated pressure inside the head. None of the subjects were suspected to have been abused and all had conditions known to cause elevated intracranial pressure. 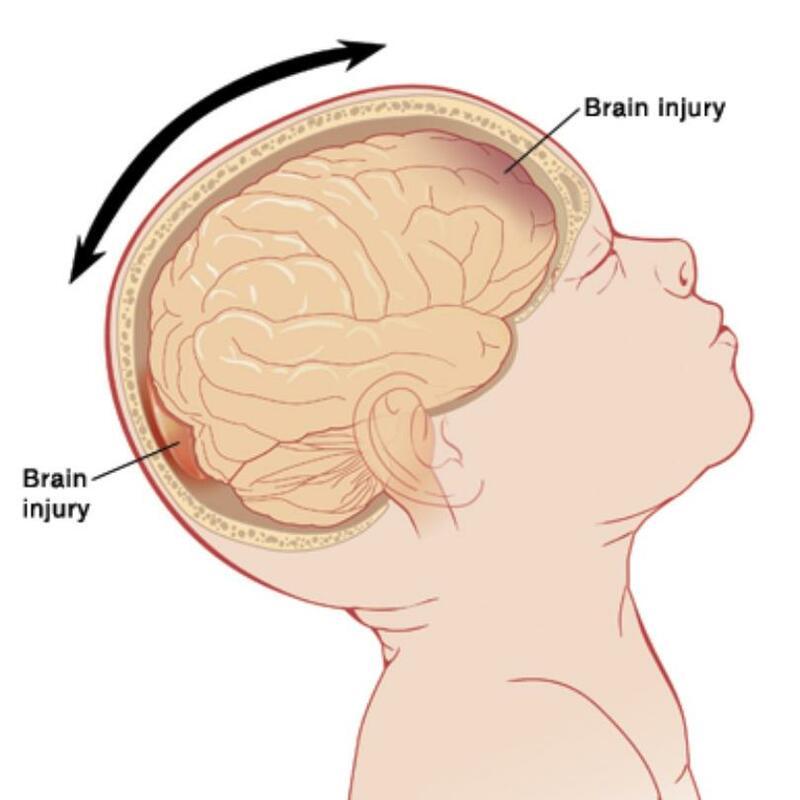 These included hydrocephalus, intraventricular hemorrhage, congenital malformations, malfunctioning shunts, and the presence of intracranial space-occupying lesions (masses or tumors). The authors couched their conclusions in the usual soft language of medical research, but the answer is clear — elevated intracranial pressure does not cause retinal hemorrhages. This new information will be very useful to those who deal with the tragic cases of child abuse. This one isn’t really about critical care but I found it interesting. 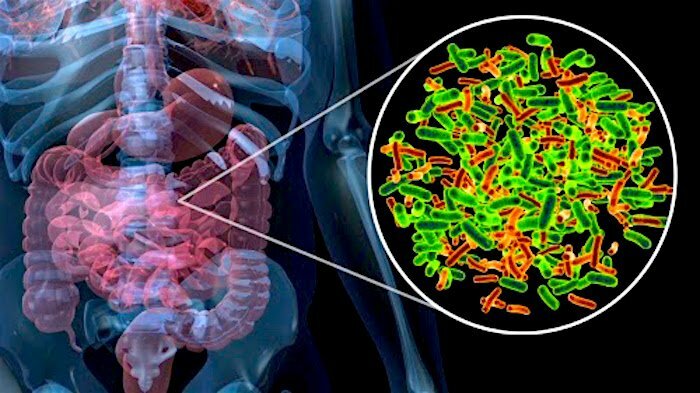 The over-the-counter sale of probiotics is a huge industry. They are heavily promoted on social media as a cure-all for a wide variety of ills. Probiotics are live cultures of what are often called “good bacteria,” and there are solid physiological reasons for recommending them. But, and this is a huge but, actual clinical data demonstrating their usefulness behind some well-defined disorders is pretty scant. Their potential usefulness in many of the ailments they are touted for is frankly absurd. And, if you’ve looked at them on the store shelf, they’re relatively expensive. The concept of probiotics is simple. Our intestine, particular our large intestine, or colon, is absolutely stuffed with bacteria. They feed on the rich river of nutrition passing them by and some of them offer us direct benefit in return by synthesizing essential vitamin K, something we can’t do. The overwhelming majority of these bacteria do us no harm at all. In fact, just by being there they do us good by crowding out harmful bacteria. It’s been known for decades anything that disrupts this ratio of good to bad bacteria can be detrimental. Antibiotics, especially oral antibiotics, needed to treat an infection somewhere, such as child with an ear infection, also slaughter gut bacteria indiscriminately along with the offending bacteria at the site of infection. This can lead to problems. The idea of probiotics is to repopulate the gut with good bacteria. There are many preparations that can do this, including yogurt containing live cultures (not all brands do), lactobacillus, and a variety of similar products available over-the-counter. I prescribe probiotics in the PICU when I’m using powerful, broad spectrum IV antibiotics. I think the role of probiotics in the way I use them in the PICU is reasonably well founded. Using them to help the diarrhea that can be associated with oral antibiotics also makes sense. But do probiotics help in ordinary pediatric gastroenteritis, the so-called “stomach flu” (it has no relation to influenza) which is typically caused by viruses? These patients are not receiving antibiotics. The presumption is that the diarrhea itself somehow disrupts what we call the gut microbiome and that probiotics restore the balance. Two recent studies in the New England Journal of Medicine (here and here) address this question important practical question. As you would expect from that prestigious journal, the studies are rigorous, placebo-controlled trials. This means subjects were randomly assigned to either the treatment group (which was the probiotic ) or the control group (which was an inert placebo). Neither the families nor the investigators knew which patient was in which group until the code was broken at the end. The subjects of the first study were 971 children 3 months to 4 years of age who came to 1 of 10 emergency departments with acute gastroenteritis — watery diarrhea with or without vomiting. They received a 5 day course of either probiotic or placebo. The second study had 886 children of the same age group, treated for the same time period. The results of both studies showed no improvement in symptoms using the probiotic. This conclusion is pretty compelling because between them they studied 1,857 children. Of course who really knows what was going on in the children’s microbiome, but the bottom line is that adding “good bacteria” didn’t help clinically. Of course this is a different question than if probiotics are helpful for the diarrhea and gas that can be a side effect of antibiotic therapy. For those conditions I think they help. But for ordinary stomach flu, save your money. The articles were accompanied by an editorial, which concludes the same thing. It also gives a good general perspective on what is known about the conditions probiotics help. If you’re interested in sampling the massive amount being written about probiotics and the microbiome you could try this or this. But beware: people who sell probiotics, and the internet if full of them, will always praise them to the skies for all manner of things. Such claims are often bizarre and violate common sense. It is unknown, for example, if probiotics help normal people who are not ill, or if they ward off intestinal complaints. That is the claim made by some of their more enthusiastic advocates. Or, as the TV commercials put it: “Maintain gut health.” Whatever that means. Attention deficit hyperactivity disorder (ADHD) is a common diagnosis in children today, and is increasingly a diagnosis assigned to adults, too. You can read more about it at the National Institute of Mental Health site here, but the principal attributes are listed in the graphic above. ADHD is a real thing, despite some having some skeptics and a few outright denialists; differences in brain scans between persons who have it and who don’t show there is a definite physiological basis for the disorder. But in practice we don’t do brain scans. We base the diagnosis on a set of clinical observations of the child, often ones made by the child’s teachers. So there is some subjectivity baked into the diagnosis. Also, the symptoms of ADHD overlap what we would regard as normal childhood behavior so there is a large grey zone. The authors of this recent study in the New England Journal of Medicine tried to get at the problem of how developmental age, normal aspects of how old the child is, could affect the diagnosis. The title, “Attention deficit-hyperactivity disorder and month of school enrollment,” succinctly describes what they did. It was a cleverly inspired study. The authors studied rates of ADHD diagnosis in children entering school according to birth month. They compared month of birth in places with a strict September 1 cutoff for school entry with places that don’t have that strict requirement. In the strict cutoff districts children born in September would be the oldest in their class because they have to wait until the next year; children born in August would be the youngest because they make the September 1 cutoff. Of course at this age a year represents 20% of a child’s entire lifetime — a significant chunk of time. 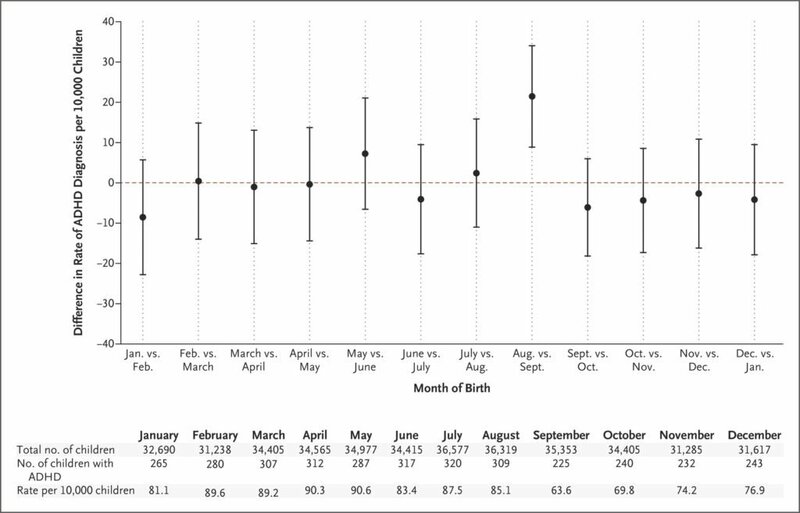 They used a series of paired comparisons between adjacent months and found the difference between August and September birth months to be highly significant: children born in August were far more likely to be given a diagnosis of ADHD. These data are shown in their figure below. So it appears those earlier months are crucial. The difference was substantial: the youngest children had much higher chance of being given an ADHD diagnosis than those who were 11 months older. No other comparison of successive months showed any significant difference. Of note, these differences were not observed in school districts with a more elastic start date. In those places there was some smearing together of the ages, likely blunting the effect. The authors’ conclusion, which I think is likely to be correct, is that the teachers were looking at average behavior in the entire class. The children born in August are nearly a full year less developed emotionally than are the children born in September and were more likely to exhibit behaviors suggestive of ADHD. The bottom line to me is that one should be careful assigning the diagnosis of ADHD to young children just entering school. It appears we need to give them all some time to grow up. Firearms now cause 15% of all pediatric deaths. Why is that? Children are relatively healthy overall. Although 25% of the American population is under the age of 19, only 2% of annual deaths occur in this age group. There was a time when the contributions of diseases to pediatric death rates were much higher. Declines in deaths from infectious disease or cancer, the result of early diagnosis, vaccinations, antibiotics, and medical and surgical treatment, have given way to increases in deaths from injury-related causes, including motor vehicle crashes, firearm injuries, and the emerging problem of opioid overdoses. A recent study in the New England Journal of Medicine presented some highly disturbing statistics about how out of control are injuries to children from guns in America: in 2016, the latest year for which there are complete data, firearms caused 15% of all deaths in children 1 to 19 years of age — over 3,000 in total. Only motor vehicle accidents, at 20%, accounted for more. Cancer was the third leading cause, at 9%. Guns kill more children than cancer and heart disease combined. The nature of gunshot deaths differed between adults and children. For adults, 62% of gunshot deaths were from suicides, 37% from homicides, and less than 2% from accidental causes. In contrast, among children 35% were suicides, 59% homicides, and 4% accidental. Think about that for a moment; nearly two-thirds of pediatric gunshot deaths in 2016 were homicides. The study doesn’t provide data on the deeper question this statistic begs an answer for: Who shot these children and why — were they deliberate murders or were many of the children simply caught in the crossfire of American gun violence? Not surprisingly, the proportion of accidental gunshot deaths in children was higher than it was in adults. We live in a country with more guns than people, and the news is full of accounts of small children finding loaded guns and accidentally shooting themselves or another child. It’s also a well known fact having a gun in the house substantially increases the risk of a gunshot suicide. Adults are more likely to do this than adolescents, but note that a third of pediatric gunshot deaths were suicides; these cases are in adolescents with uncontrolled depression. Any mental health expert will tell you ready access to a violent weapon increases the likelihood a susceptible person will use it for self harm. Adolescents are immature reasoners and having a gun available is a risk. Diving a little deeper into the data shows that, for children ages 1-4, drowning and motor vehicle accidents were common causes of fatal injuries. School age children, pre-adolescents, had the lowest death rates and for them cancer was the leading cause overall. It was among adolescents that firearm injuries became the most common, particularly suicides. An interesting observation is that rate of firearms deaths showed no geographic variability, unlike motor vehicle accidents. Even corrected for miles driven the increased death risk for rural children persisted. The authors speculated this could be related to longer response times of emergency services in rural areas and perhaps a few other things, such as less use of restraints. 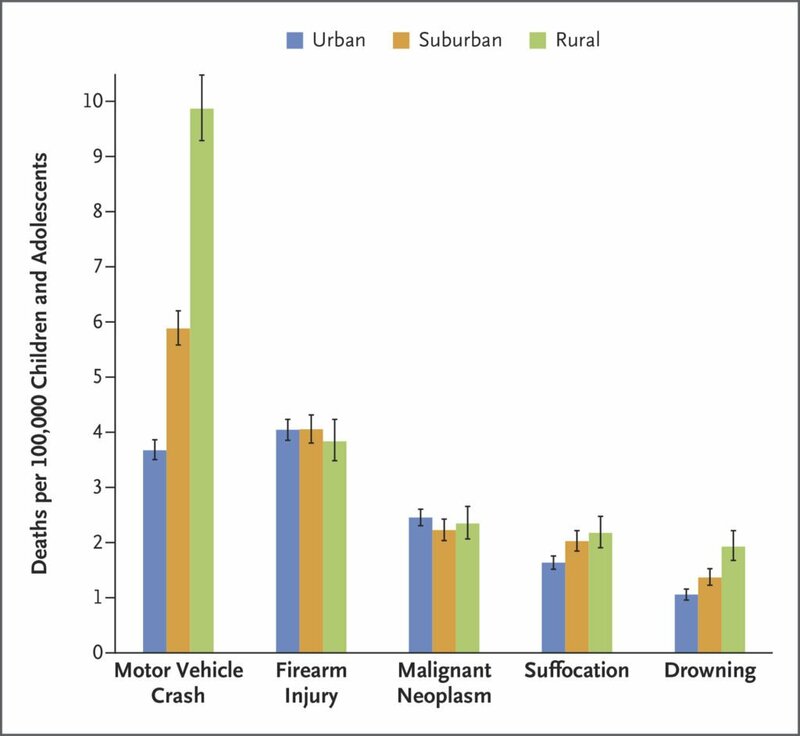 The overall risk for firearm death, though, was uniform between urban and rural children. Yet there were some differences within this classification. Urban children killed by guns were over twice as likely to be victims of homicide, whereas rural children were more likely to have committed suicide. There are many other useful comparisons worth your time reading, such as regarding gender, ethnic identification, and socioeconomic status. Yes. American children should have that opportunity. 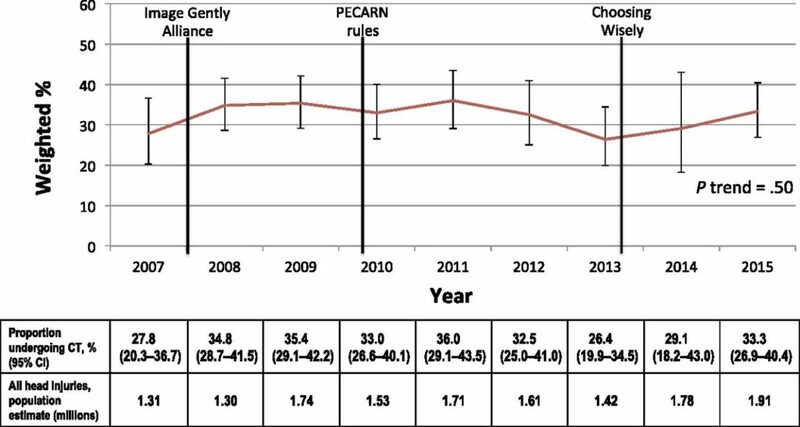 The continuing issue of what to do with smaller pediatric intensive care units: Is regionalization the answer? I spent my early and mid-career years working in a pediatric intensive care unit at a large academic center. We did almost everything except for a few things esoteric at the time — small bowel transplants, a few kinds of experimental surgery. I’m now in my late career (but have no plans to quit anytime soon!) and work in a smaller PICU. I am frequently confronted with the issue of just what a smaller unit should be doing. Some of these questions are easy. For example, we don’t do kidney dialysis in children so any child who might need that gets sent to a larger, academic PICU. We also don’t do heart surgery in children, although we care for children before and after their surgical repairs done elsewhere. But you can easily see how this can get complicated, even murky, as we think about the vast array and spectrum of severity of childhood illness and injuries. For example, I frequently care for children with severe respiratory failure who need a mechanical ventilator. But our PICU does not (and should not) offer the most sophisticated form of respiratory support — extracorporeal membrane oxygenation (ECMO). Deciding when things have deteriorated to such an extent that a child might need ECMO, and hence transfer, is a total judgement call. We don’t want to transfer too early but we certainly don’t want to do it too late, when the child is much more unstable. When PICUs began they were located in major academic medical centers. Now we have smaller units like mine scattered across the landscape. And “scattered” is the correct way to think about it because where you may find a PICU is a bit random. Essentially what happens is that a larger community hospital decides they want a PICU. I can tell you from personal observation this decision is often made with little detailed planning and without consideration of what having a PICU really means, what specific services you are going to offer or are compelled offer. Several organizations I know of just hired some pediatric intensivists (and never enough of them), bought some ventilators, stuck a PICU sign on the wall, and declared themselves open for business. Several organizations, including the American Academy of Pediatrics, have published guidelines of what a PICU should consist of, but it has no teeth and no one has decided exactly what services are appropriate. Besides, the guidelines are now a decade old. A very crude measure would simply use the metric of number of PICU beds and yearly patient census, but even that’s not done. There are some guidelines for specific procedures, such as liver transplantation, but on the whole it’s whatever people want to do. It’s pretty chaotic. I’ve seen some bad things happen because of this Wild West approach to PICU practice. In densely populated areas such as the Northeast you find places were PICUs are sitting cheek by jowl and competing intensely with each other for patients. In contrast, in the West the nearest PICU may be hundreds of miles away and the referring physician has no choice at all. The issue, of course, is twofold: it is inefficient, and cruel to families, to transfer children to big PICUs when they could be appropriately cared for closer to home; yet it can be dangerous to keep children in smaller PICUs when they have or might develop problems that require a higher level of expertise. Of course this is not a problem unique to PICUs. It applies to other aspects of acute medical care. Critical care is a flash point for the question because there may not be time for a leisurely referral to a far away specialist. Decisions, sometimes simply based upon best guess, need to be made. My own modest suggestion toward solving this problem is that every smaller PICU should have a formalized, agreed upon protocol for consultation and transfer of patients. In other words, there should be some type of formal regionalization for pediatric critical care. The PICU I work in is fortunate to have a tight relationship with a major children’s hospital. I can call at anytime on a direct number just to bounce ideas off another intensivist, ask for specific advice, or arrange transfer. I have many colleagues around the country who, when they wish for that sort of help, must go through layers of obstruction to get it. Sometimes when they want to transfer a patient to a bigger PICU they essentially need to “pitch and sell” the patient to the larger facility, who may even refuse the transfer for non-medical reasons. This is not the way to go. I think every PICU that doesn’t offer the complete range of critical care services should have some sort of arrangement with a larger unit. Right now most have only an informal, vague, “this is what we generally do” protocol. It needs to be better than that. Imagine this scenario. Your two-year-old son has had a runny nose for a day or two and an occasional cough, but seemed no worse to you that everyone else in his preschool class. Two hours after you put him to bed you hear him coughing, only this cough is like none you have ever heard from him before. It sounds like a barking seal at the circus–a brassy, honking noise. In between coughs he his making a strange crowing-like noise. When you snap on the light you see him sitting up in his crib, leaning forward, and coughing that strange cough. You also notice the part of his chest below his ribcage is sinking inwards with each breath, backwards from the way it should go. Your little boy has a scared look in his eyes, and you are more than a little scared yourself. He has croup. What is croup? Croup is a disorder caused by inflammation of the trachea, the main breathing tube in the neck, just below the vocal cords, in an area called the subglottic region. Some say it gets its name for the old Anglo-Saxon word kropan, which means to croak or cry out. If true, such venerable terminology tells us this common childhood ailment has been recognized as a distinct entity by parents for a very long time. Physicians sometimes give it a much fancier name, laryngotracheobronchitis. This learned construction merely describes what croup is: inflammation (hence the “itis”) of the breathing tubes extending from the vocal cords (the larynx), through the trachea, and often down to the lower breathing tubes (the bronchi). Even though the inflammation can stretch up and down the airway, it is in the subglottic region where the symptoms happen. Why this is so is because of a simple law of physics–that is where the airway of a toddler is at its narrowest. The symptoms of croup come from blockage of airflow. The inflammation of the subglottic region makes the lining of the trachea swell. Since the trachea is more or less round, this swelling makes the diameter of the airway smaller. Sometimes the swelling of the tissues gets so bad the size of the child’s airway is narrowed to that of a small straw. What happens next is simple physics, and is analogous to what happens in cold water pipes if they have their diameter narrowed by mineral deposits in them: flow through a tube is proportional to the fourth power of the radius of the tube. This may sound esoteric, but the principle has important practical implications for small children with croup. Imagine an adult whose airway has a diameter of twelve millimeters. Then imagine the lining of this tube develops one millimeter of swelling all around its lining, thereby reducing its diameter to ten millimeters. If one does the calculations, this slight reduction in size reduces airflow by about half. Now consider a toddler with a five millimeter airway who has the same one millimeter of swelling all the way around it, reducing it to three millimeters in diameter. The adult in this example loses about half the airflow, something easily compensated for by just breathing a little harder. In contrast, the toddler has his airflow reduced to only thirteen percent of what it was. This reduction is too much to compensate for, although the child tries. His trying causes the symptoms of croup. It is air rushing turbulently through a newly tiny airway that causes the crowing sound characteristic of the breathing of a child with croup. It is called stridor, and an experienced person can often make the diagnosis of croup based upon that sound alone, even over the telephone. Additionally, the front portion of a toddler’s ribcage is not yet solid bone–it is still partly cartilage. This means that, since a child’s chest is not yet firm in the scaffolding of the ribs, the increased effort of breathing makes the chest cave in the wrong way with each breath. These are called retractions. They are not specific to croup, but happen in a child with respiratory distress from a variety of causes. The final characteristic finding of croup, the seal-like barking cough, is from irritation of the vocal cords. One of the characteristic attributes of croup is how sudden the onset of the stridor, the sign of upper airway obstruction, often is. For some reason croup tends to be worse at night; most visits to emergency departments for croup occur between ten in the evening and four in the morning. A typical story is that parents put their child to bed with just a mild cough only to awaken in the middle of the night to the sound of severe stridor. This is a predictable result of the place where the inflammation is happening. Since airflow is dependent upon the fourth power of the radius of the child’s trachea, he may not have much distress during the early stages of the illness. But as the airway gets smaller, subsequent reduction in size becomes critical. The analogy to water pipes is a good one: loss of half the space inside the pipe from mineral deposits causes only slight reduction in water flow when one turns on the tap, but just a little more blockage severely cuts down flow. Croup is an extremely common childhood illness. Estimates vary, but studies suggest as many as fifteen percent of all children have croup at least once, and five percent have it more than once. Some have estimated croup accounts for fifteen percent of all respiratory tract disease seen in pediatric practice. The peak time for croup is fall and early winter, but it can occur any time of year, even summer. The peak risk age for children to get croup is eighteen months, and boys are one-and-one-half times more likely to get it than are girls. Croup is caused by infection with a respiratory virus. Although there are a few ailments that resemble croup and are caused by something else (more on them below), standard croup symptoms are brought on by viral infection. There are multiple viruses that can do it, but nearly three-quarters of all cases stem from infection from a single family of three closely-related viruses–the parainfluenza viruses, which are cousins of true influenza. Less commonly croup is caused by the true influenza virus, respiratory syncytial virus (RSV), or a few others. All these viruses are spread from child to child in the manner of most respiratory viruses–tiny droplets of infected mucous or saliva. These droplets can fly through the air after a cough or sneeze and be inhaled by someone nearby. Alternatively, virus-laden mucous gets deposited on a child’s hands when she puts them in her mouth or nose and the virus then moves on to someone else when the child touches them. Either way, the first step is for the virus to infect the back of the throat, causing cold-like symptoms of nasal congestion, cough, and low-grade fever. For reasons we do not understand, some children get no more than that. Often, however, and especially with the parainfluenza viruses, the infection moves to the subglottic area of the trachea. There it causes the local irritation and inflammation that leads to the airway swelling and subsequent symptoms of obstructed airflow. Croup is entirely a clinical diagnosis; there is no specific test for it. This means the doctor decides it is croup based upon a typical story (cough, congestion, stridor, and mild fever). Sometimes, though, a doctor will get an x-ray of the child’s neck, which often shows some narrowing of the airway. The above picture, an x-ray of a child’s neck, is an example of this. Air on an x-ray appears black, bones are white, and tissue is grey. The central black column of this child’s trachea is narrowed abnormally at the point of the arrow. (The bones stacked like coins in the neck are part of the spinal column.) Doctors do not always get such an x-ray, especially if everything points to croup. If the story is atypical, a common reason for getting the x-ray is to make sure the child’s symptoms are not from something else. Those other possibilities are divided into infectious ones and non-infectious ones. There are other infections besides viral ones that can infect a child’s airway and block airflow. Serious bacterial infection can do this also. The principal one of these is epiglottitis, a severe and rapid swelling of the epiglottis, a structure that sits just above the opening of the trachea at the back of the throat. The epiglottis is what keeps food from going into the trachea during swallowing. When it becomes severely swollen, which is what happens with epiglottitis, it can completely block the airway and cause a life-threatening emergency. Another infection that can mimic croup is bacterial tracheitis, a severe infection of the entire trachea that causes so much infected pus that a child’s airway can become obstructed. It, too, can be life-threatening. Fortunately, both epiglottis and bacterial tracheitis are rare. Epiglottis was once not uncommon, but near universal vaccination of children against the bacterium Hemophilus influenzae, the main causative organism, has dramatically reduced the incidence of the disorder. Both these serious conditions usually behave quite differently from croup. The main difference is that both cause high fever (croup’s fever is nearly always low-grade) and the children appear quite ill. The key distinction between croup and epiglottis is that the latter not only makes breathing difficult but also makes swallowing painful or even impossible for the child. Thus a child with epiglottis will not only have stridor, but will sit hunched forward and drool, unable to swallow. 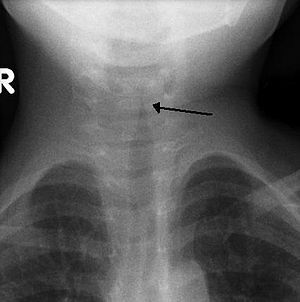 An x-ray of the neck can help distinguish croup from these more serious infections. However, if the doctor thinks epiglottis is possible the standard way to proceed is for the child to be given a sedative and have his airway directly inspected using a procedure called laryngoscopy. If this is necessary, it is usually done by an airway specialist, such as an otolaryngologist, commonly called an ENT specialist. There also are non-infectious things that can cause upper airway obstruction and stridor, since anything blocking the airway gives the same symptoms. Overall, what distinguishes these non-infectious causes of upper airway obstruction from the infectious ones is the lack of any other evidence of infection, such as nasal congestion, fever, or malaise. If the onset of a child’s breathing problems is quite sudden, the doctor might consider the possibility of a foreign body stuck in the airway. Toddlers put anything into their mouths–toys and bits of food are frequent offenders when this happens. On the other hand, if the progression of a child’s symptoms is progressive over days or weeks, the doctor might think about several kinds of tissue growths that can occur within the airway. If either of these possibilities is likely, the child usually needs laryngoscopy or bronchoscopy, inspection of the trachea and lower airway, for diagnosis. A few children have recurrent, sudden episodes of croup symptoms without any other evidence of viral infection. These attacks from what is called spasmodic croup also generally happen at night. The cause is unknown, but it may be related to allergies. It is generally treated the same way as viral croup (see below). The walls of the trachea are stiffened with bands of cartilage; this is what holds them open and keeps them that way. Some children have an airway that is intrinsically less stiffened with cartilage than most, causing it to collapse a bit when the child breathes, causing stridor that can sound like croup. 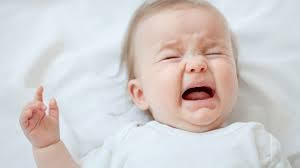 In this condition, called tracheomalacia, the symptoms are chronic and are often worse when the child is lying on his back because the weight of the tissue in the neck compresses the airway more. It requires bronchoscopy to diagnose for certain. Croup ranges in severity from quite mild to the rare case of near total obstruction of the airway. To help categorize this severity doctors have devised various scoring systems to rate the child’s symptoms. One commonly used of these “croup scores” is the Westley scale. The scale assigns points for various symptoms and groups children into “mild,” (less than three points), “moderate,” (three to six points), and “severe” (more than six points). It uses five criteria to do this: severity of retractions, degree of stridor, how well the air is getting into the child’s lungs as assessed with the examiner’s stethoscope, if the child is dusky-colored from insufficient oxygen, and if the child is becoming poorly responsive from lack of oxygen. Generally mild croup can be treated at home; moderate and severe croup require medical attention, and usually the more ill children will be admitted to the hospital. Once a doctor decides a child has croup, it is fairly well-accepted how to treat it. Therapy is directed at two things: making the child feel better and reducing the airway inflammation to improve airflow. Mist has been a mainstay of treatment for mild croup for many years. This often gives a child significant relief from the pain and raspy, dry feeling in the throat, although whether it actually helps reduce the inflammation of the airway itself and improves air flow is doubtful. Mist may also help loosen airway mucous and allow the child to cough it up easier. Throat pain and fever are helped by treatment with acetaminophen or ibuprofen. The traditional home remedy for mild croup is to close the bathroom door and run a tap until the room is completely steamy, then turn it off and sit with the child in the mist. A parent needs to be careful with this, of course; children have been burned from scalding water. Exposure to cool night air (since croup happens mostly at night) is also a traditional remedy. Although widely practiced and certainly benign, it, too, has never been validated. Doctors typically use one or both of two ways to reduce the inflammation and swelling in the child’s airway. Direct application of the drug epinephrine (adrenaline) to the swollen tissues shrinks them by constricting the tiny blood vessels under their surface; it is the virus-induced engorgement of these vessels and leakage of fluid out of them that causes the swelling in the first place. The drug is given by nebulization, blowing high-flow air or a mixture of air and oxygen through the liquid epinephrine and thereby dispersing it into a fine mist, which the child then breathes to carry the drug to the subglottic area. Epinephrine works within minutes and usually gives a child prompt relief from the stridor and retractions. Unfortunately the effects of epinephrine only last a few hours at most. It can then be repeated, although dose after dose of epinephrine can rarely lead to worse swelling when the drug wears off. The subglottic swelling of croup is from inflammation in the area, so standard treatment of moderate or severe croup also consists of using a drug to reduce the inflammation–a steroid. Steroids are also being used increasingly for mild croup, both to make the child feel better and to interrupt in its early stages progression of the swelling. Steroids can be given orally, by intramuscular injection, or even nebulization like the epinephrine. A commonly used steroid for croup is dexamethasone (Decadron), a single dose of which is usually sufficient to reduce the inflammation. Unfortunately, steroids do not act immediately like inhaled epinephrine–they take four to six hours at least to work. A typical treatment scenario for a child coming to the emergency department with croup would be to have him breathe some cool mist, followed by a nebulized epinephrine treatment. Usually the best way to do this is to have the child sit in a parent’s lap, since he is most comfortable there and agitation makes the stridor and retractions worse. Then the child receives a dose of steroids. Often by then the child’s symptoms are much better, but it is important to keep the child in the emergency department for at least an hour or two more to make sure the symptoms do not recur after the epinephrine wears off and the child needs more treatment. A child who has continues to have symptoms after epinephrine or who needs repeated doses of epinephrine needs admission to the hospital. What doctors particularly look for is continued stridor when the child is completely calm; called “stridor at rest,” it is a standard indication for hospital admission. A child with severe croup needs more complicated management, although this is very uncommon. If the child is clearly not getting enough air to stay alert and keep his blood oxygen levels up he needs immediate placement of a breathing tube, called an endotracheal tube. It is placed by a procedure known as intubation. 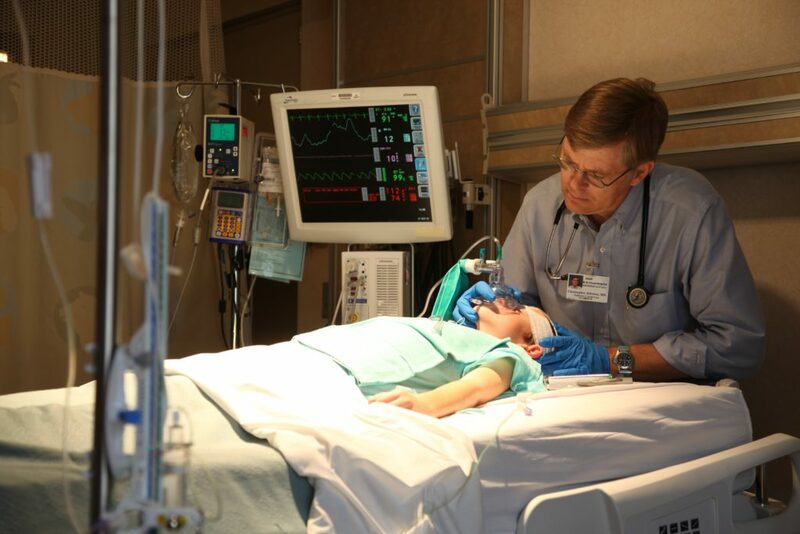 A child with less severe croup, but who remains in significant distress and begins to tire from the effort of breathing also needs intubation. Croup usually runs its course in five to seven days, typically with one day of worst symptoms and several more of cough and hoarseness. Since the symptoms characteristically get better in the day, it is common during the middle of the illness for a child to have minimal symptoms during the day but several nights of worse cough. There is no clear-cut evidence that children who have one episode of croup are more likely to get it again. There is some evidence children who have group are more at risk later to develop reactive airways disease–asthma–than children who never have croup. However, if true, this may not be a cause-and-effect association; the propensity for a child to get croup when infected by a respiratory virus may reflect the same innate tendency to develop asthma. They may be different manifestations of the same thing. There are no long-term after-effects of typical viral croup. I swiped this editorial cartoon by Steve Sack from the redoubtable Dr. David Gorski’s blog, who goes by the nom-de-web of Orac. Recent epidemiology shows reducing the fraction of vaccinated children in the population rather promptly leads to a resurgence of the diseases vaccines protect against. This is the concept of community or herd immunity. Epidemiologists debate the concept around the margins but overall its importance is well accepted. People who deny the effectiveness of vaccines or even think vaccines are dangerous don’t accept it, though, and you can find many examples of this around the internet, some sort of reasoned, some not. Although I’m trained in pediatric infectious diseases, a field that includes a lot of epidemiology, I’m not an epidemiologist. So I’m not going to chew on the whole herd immunity thing. 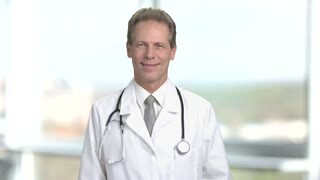 I’m going to write about a particular form of concern trolling common among vaccine denialists: the claim that they would fully support vaccines if only vaccines could be shown to be fully safe and effective, using their own special definitions of what that means. In effect they erect an impossible standard to meet, which is of course how concern trolling works. A common claim is that, although individual vaccines may be safe, the safety of combinations of vaccines together has never been shown. It’s not always clear what the demand is here, but it often appears to me to mean they want a trial of all the many possible combinations of vaccines compared. If you just do the math on how many vaccine combinations are possible you can see this demand is absurdly impossible to meet. We actually do have ongoing surveillance of vaccine safety happening all the time and the results show them to be the safest medical procedure we have, with around 1 complication per million doses administered. The only thing safer is homeopathy, which does nothing but harms nothing. Vaccine denialists elide this fact by redefining what a vaccine complication is through including nearly anything that happens to a person afterwards, even years afterwards, as vaccine-caused. I’ve read posts by many adults who claim, for example, that their fatigue, difficulty concentrating, and “metabolic problems” stem from vaccines they received as children. Also automobile accidents have been blamed as vaccine complications. The absurdity is truly mind boggling. Also note this tweet includes the common fallacy the Amish don’t vaccinate — most do. Anyway, there have been some terrible studies of this sort reported, such as this one, which highlight the fallacy of doing such a simple comparison without controlling for any confounders. Fundamental to any proper study like this is that the two groups being compared, in this case vaccinated and unvaccinated, must differ only in the variable being tested. A common way of handling the question is a case-control study, in which each case is matched with one or more controls that, as best as can be determined, satisfy that requirement. But vaccinated and unvaccinated children, by parent choice, are hopelessly self-selected right out of the gate. There are other confounding issues, such as blinding, but that’s the main one. Well then, as some have actually demanded, we must have a randomized controlled trial (RCT), the gold standard of clinical research. RCTs use random assignment of subjects to one group or the other, in this case vaccine or a placebo (fake vaccine), and ensure both the subjects and evaluation team be blinded to who got what. Think about this for a minute. They are demanding parents agree to subject their child to a trial in which they have a 50/50 chance of getting a fake vaccine. All this to satisfy the concerns of vaccine deniers. It would be incredibly unethical to do such a study, and no institutional review board (aka human studies committee) would ever approve such a thing. For such trials there must be reasonable uncertainty about which group is getting the better treatment and in this case there is none. The bottom line is any vaccine skeptic who demands proof like this is being massively disingenuous. It’s akin to demanding a randomized controlled trial of parachutes. The enduring mystery in this perennial chestnut of a topic is that vaccine deniers demand a level of safety and certainty from vaccines that they demand from no other medical procedure or treatment. 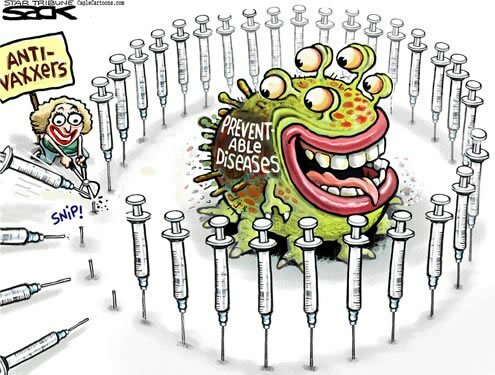 Absolutely every treatment I can think of is riskier than vaccination. Some are far, far riskier. I suppose it’s partly owing to a visceral resistance to injecting something into a healthy person, but vaccine denial in general has deep, deep historical roots. The stethoscope. 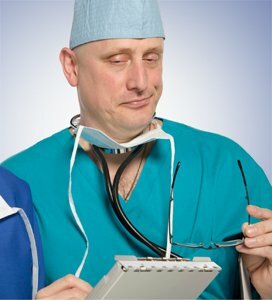 Nothings says “I’m a doctor” more than the stethoscope in a pocket or draped around the neck. Forty-five years ago when I got my first one, a gift from my physician-father, the former was more common. Then we were more likely to wear coats — white coats or suit coats — and pockets were available. I had suit coats in which the lining was worn out from the weight of the thing and at the Mayo Clinic back then, perhaps still, the sartorial police didn’t allow white coats. Of course medicine was overwhelmingly male then so suit coats were the norm. These days you’re much more likely to see them draped around the neck like the guy in the picture above. Back then we did put them around our necks sometimes, but that required that the springy metal arms to be around your neck, like this guy. I found that tended to give me a headache because I think it partly occluded blood flow down the jugular veins in my neck. Interesting to me is the newer fashion statement of draping it around the neck like picture #1 is made possible because the tubing on today’s stethoscopes is much longer. The longer tubing also makes wearing it like the guy in image #2 cumbersome because the end of it bangs on your belt rather than the middle of your chest. Materials of course have evolved as well. My first one was made of steel with rubber tubing; today’s versions are mostly lightweight plastic. Mine was one of the style called Rappaport-Sprague, named after its inventors, I assume. The very best model was sold by Hewlett-Packard, which, alas, no longer makes it. I wish I could get one again because the one my father gave me was stolen from the hospital doctors’ lounge by some evil weasel. I saw the one pictured below offered on E-Bay for $900.00, so I guess other folks share my nostalgia. It looks just like the one I had. I have to say I think the old rubber tubing gave much better sound transmission than today’s plastic stuff. Notice the shorter tubing. If you draped the tubing of one of the older versions around your neck the thing could fall to the floor when you moved if you weren’t careful. In contrast, the newer Rappaport-Sprague style on the guy in image #2 has long tubing made for neck draping. The plastic tubing versions made 50 years ago, and there were those, also had shorter tubing; now they are much longer, like the one sported by the guy in image #1. So let’s focus on the interesting matter of tubing length, because I think it tells us something about the sociology of medicine. It requires we consider for a moment the origin of the stethoscope and conventions of how physicians examined patients. Until late in the 19th century it was common for physicians not to examine patients at all. They would often render a diagnosis based on the patient’s story. The notion of how useful is touching, examining the patient came with the growth of scientific medicine, as well as some changes in social conventions. 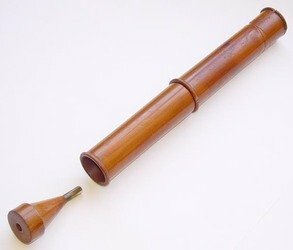 The stethoscope as a tool to listen to the internal organs was invented by Laennec, who devised a wooden tube like the one below. The traditional story is that he first used a tube made of rolled paper, purportedly because the patient was a women and it was ungentlemanly for him to touch her or place his ear to her chest. 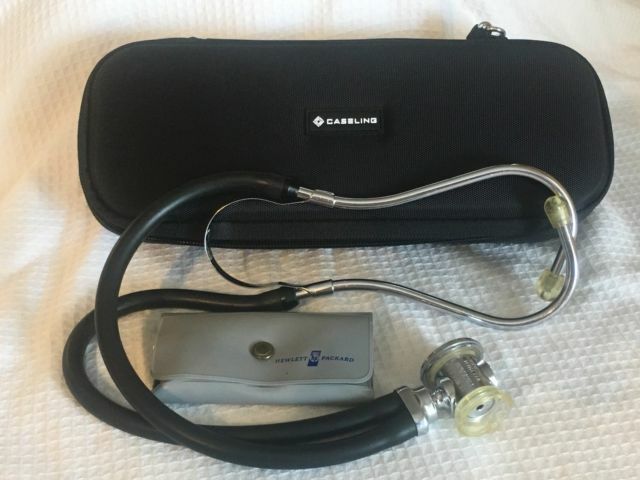 My first stethoscope with its shorter tubing made auscultation a more intimate act than today’s version; you had to lean closer in to the patient. I think that’s a socially signifiant difference. Some might say the longer tubing is there because it makes taking the blood pressure easier, but I don’t buy that. For one thing, blood pressure measurement works just fine with shorter tubing. For another, these days blood pressure is generally taken with an automatic machine rather than manually. In a real sense we’re now more distant from our patients. The stethoscope itself is becoming less and less used in practice. I still find it very useful in the PICU every day, but it’s not unusual to find on daily rounds that a student or resident hasn’t used one in their daily examination of a patient. I think one thing that keeps it going is not so much its function as a tool but rather as a key part of a physician’s regalia, a badge that proclaims status. Just look at all the stock internet images of people posing with one prominently displayed. But like the white coat that once indicated physician status, but now is worn by everyone, you’ll find a stethoscopes hanging on necks everywhere. What I see now is an interesting sort of countertrend; many senior physicians no longer carry one. When they want one they just borrow one from the dozens available around the PICU.